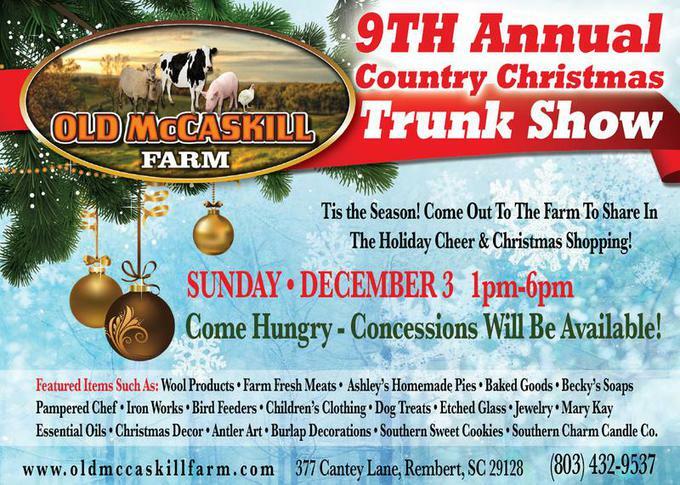 9th Annual Country Christmas Trunk Show at Old McCaskill’s Farm! Our farm will be closed Sunday since I’ll be sending all our goods to Old McCaskill’s Farm, but we’ll be open again on Sunday, December 10th with special holiday pricing on all our lamb. 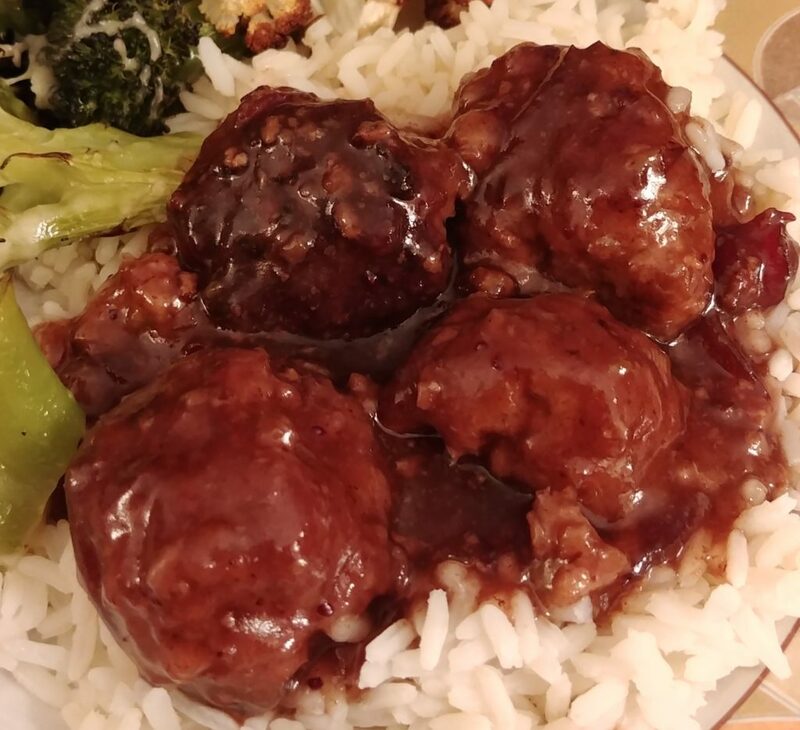 I’ll be sharing holiday recipes to get you in the spirit and, to get your mouth watering, here’s a picture of our favorite Cranberry Christmas Lamb Meatballs, made with our own lamb, honey, and eggs. 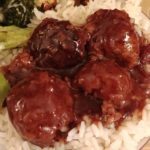 Stay tuned, because this is the first recipe I’ll be sharing in the coming week! Cranberry Christmas Lamb Meatballs Recipe coming soon! Time to make your list and check it twice, put on some comfy walking shoes, and join us at Old McCaskill’s Farm on Sunday for a great shopping experience!